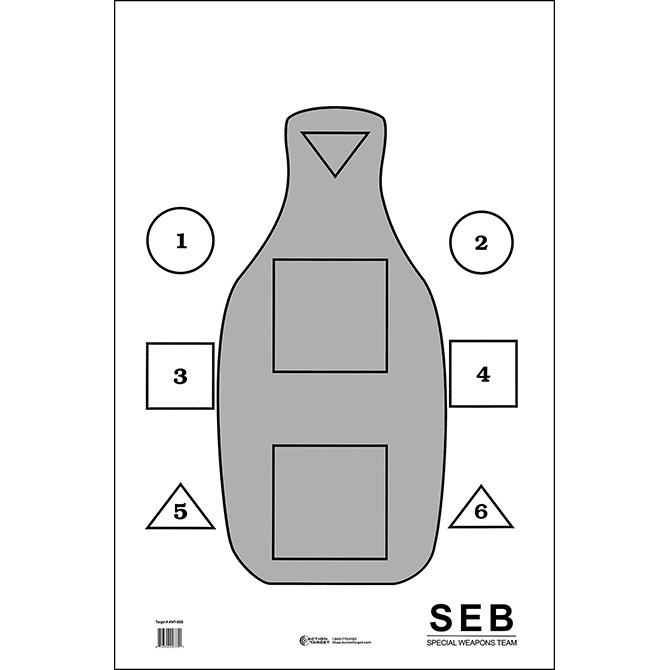 SWAT team SEB training target. Standard "Q" target with vital areas. - Size: 23" x 35"